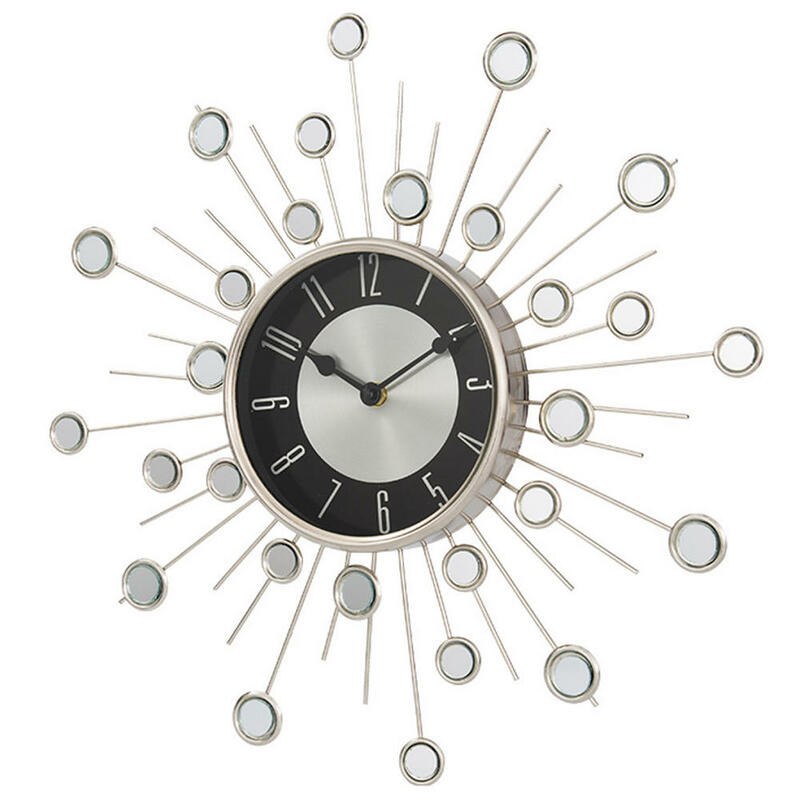 The Satellite Clock is a stylish looking and eye catching wall clock that can lighten up any room in your home. The clock has been designed to meld a retro and modern look. 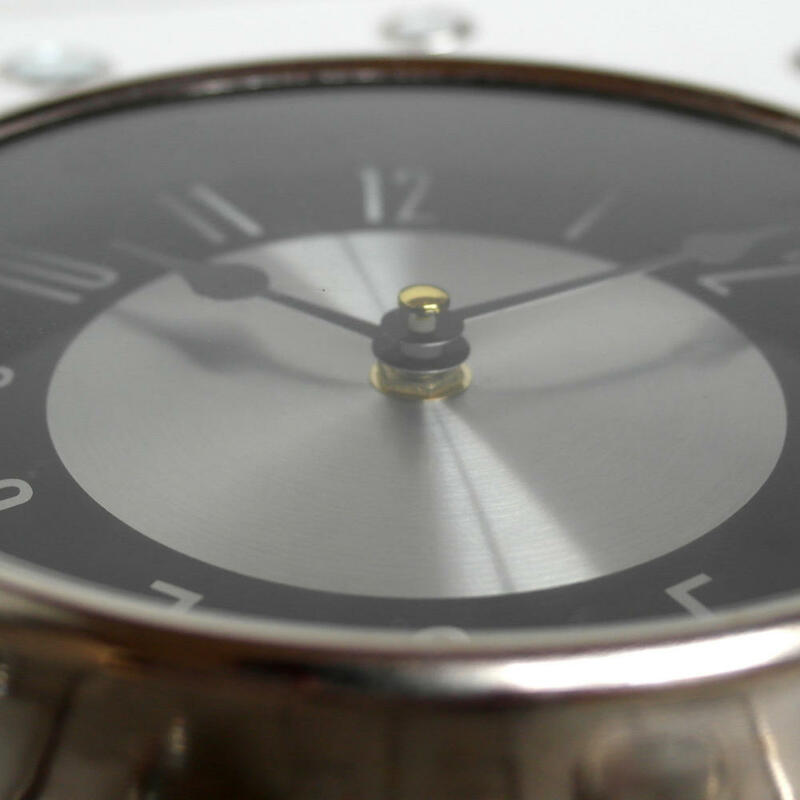 The clock face has a distinctive retro look to it with its black and silver accents and easy to read numbers. 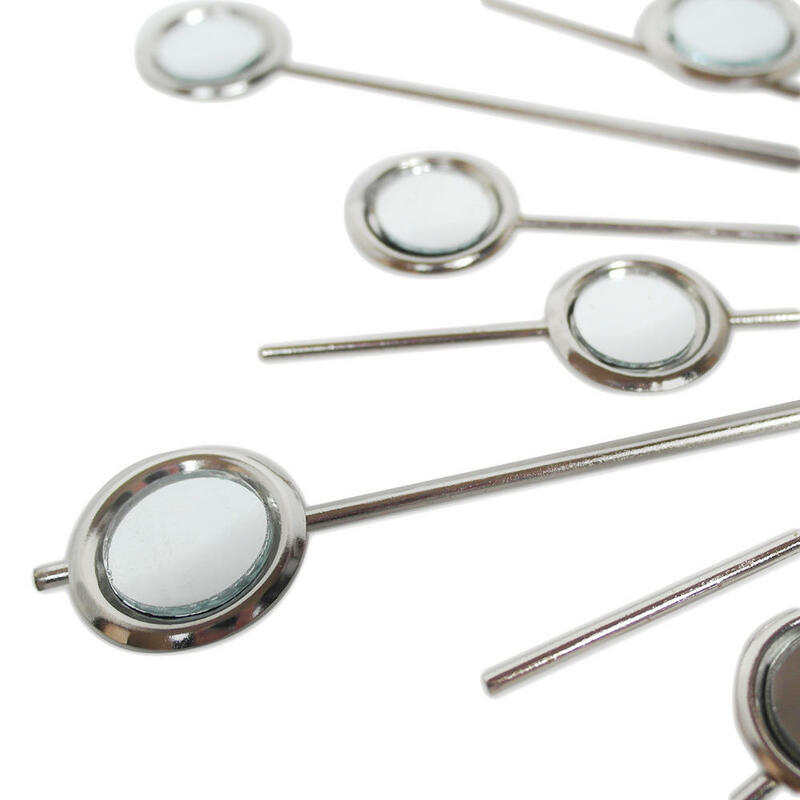 The striking edge of the clock contains a spike, almost sun burst like effect with a series of small mirror like discs intertwined with the surrounding spokes. 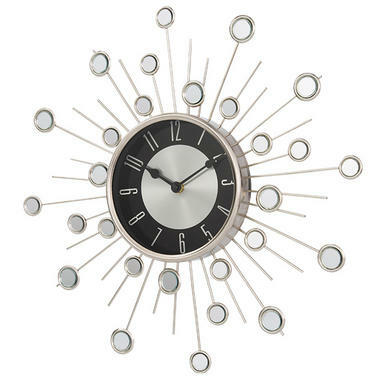 Made from light weight materials, the clock is easy to install and place in position. The clock can be hung from any wall in your house to create a point of interest while blending in with your home decor, no matter what the theme.